First, submit your idea for a new product or service here. Then visit us at booth 1020 on Dec. 5–6 in Long Beach to check out our newest products and pick up your Pipeline of Innovation hat. You can also join the social media #HunterInnovationPipeline contest at the show for a chance to win an Amazon Echo Dot™! For help thinking of an idea to submit, click here to review our focus areas. Is There Anything New You'd Like to See From Hunter? Please provide a brief description of your idea, and any circumstances that led to its creation. Need help? Click here to review our focus areas to help submit your idea! Which product lines do you prefer to buy from other manufacturers? What can we do to solve your problem with these product lines? 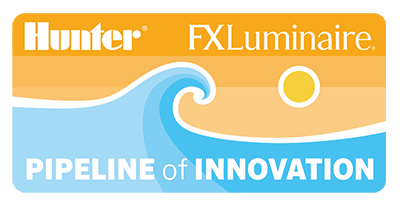 EUROPEAN CUSTOMERS ONLY: In accordance with the provisions outlined by the EU General Data Protection Regulation (GDPR), I agree to receive pertinent communications about Hunter and FX Luminaire products including, but not limited to, product launches and newsletters. Amazon Echo Dot is a trademark of Amazon.com Inc. or its affiliates.